The line for the MRT Monumento station was spilling over into the street last Valentine’s, Feb 14, but it wasn’t for a lack of trains. On the contrary, it was because Yamaha’s MotoGP tandem of riders, Valentino ‘The Doctor’ Rossi and Maverick Viñales were in town for Yamaha’s Time2Rev event. 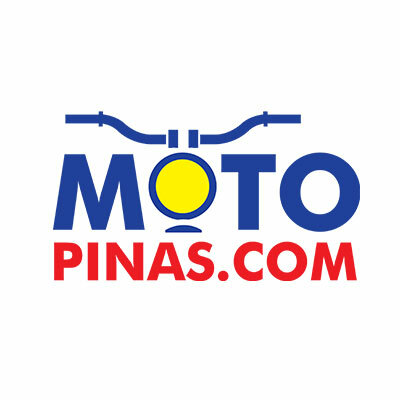 Their first stop was a ride in the LRT to the newly minted Yamaha Monumento Station, the first of its kind, bathed in Yamaha colors and photos of bikes. The visit was brief, but like Hollywood Boulevard’s walk of fame, the MotoGP duo’s visit wouldn’t be forgotten, marked by their own Yamaha Star. Those who missed their arrival can visit the Yamaha Monumento station and see their idols’ star. Next, the two racers headed over to famous motorcycle strip, the Banawe for two-wheels, 10th Avenue in Caloocan. The street, covering three blocks, was closed just for the event, where stages where set up for The Doctor and Top Gun to meet with their fans. The program began with the launching of the special edition Yamaha Mio Aerox 155 in Yamaha’s MotoGP colors and livery. A special recognition for the Yamaha Grand Prix riders who won the overall social media votes for Luzon, Visayas, and Mindanao, as well as the naming of the Wild Card entries. They also gave away signed t-shirts, and enthusiastically answered questions from the audience. Next up was a press conference held in Seda Hotel in Vertis North, the same venue as Yamaha’s dealer conference. Here, the duo answered questions from the press as well as met with Yamaha dealers to share their own thoughts about the different products of Yamaha. The pair had to fly out that afternoon, but it wasn’t quite over for Yamaha’s Time 2 Rev event. During the evening program, Yamaha introduced its latest campaign ,“We are Mio” spearheaded by their automatic motorcycles: the all-new Mio Sporty, Mio i125, Mio Soul i125, and Mio Aerox. The campaign focuses on the culture of riding and the fun it brings. Each AT motorcycle was represented by their 'Miollennials,' Yamaha’s new name for its Mio brand ambassadors; Boy Band PH, Nadine Lustre, Matteo Guidicelli, and Drew Arellano. To culminate the activity, the party was continued at 10th avenue, to introduce the campaign and its ambassadors to the public, proving that all mio riders, no matter what the model, are unstoppable. Honda pledges to continue support for A.P. Honda Racing Thailand by establishing a new training program. Kawasaki launches the Rouser NS 160, bridging the gap to its 200 cc big brother.